Food for thought... Montage | Eiteljorg Museum | Indiana State Museum | Indianapolis Museum of Art FORUM Conference & Events Center | Dallara IndyCar Factory | Your Location As your full-service caterer we promise you three things: great food, great selection... and every detail will be total perfection. Guaranteed. 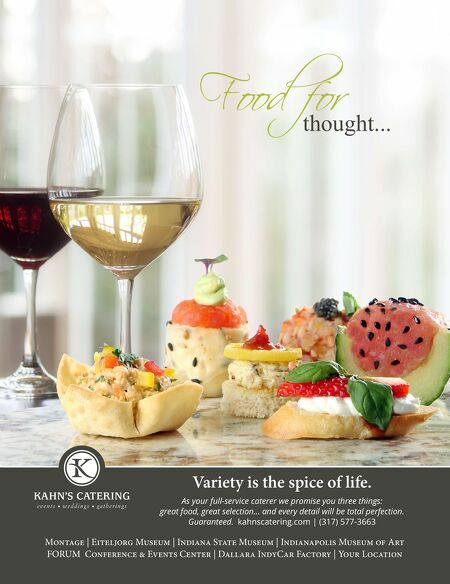 kahnscatering.com | (317) 577-3663 Variety is the spice of life.